designed for outdoor search & rescue, hiking, camping, weapon mounting, etc. It comes with a built-in micro USB port for quick and convenient charging. JETBeam has released the new and improved C8 Pro outdoor flashlight! Similar to the original JETBeam C8, the innovative C8 Pro is made of an aero grade aluminum alloy and provides a larger Lumen output. 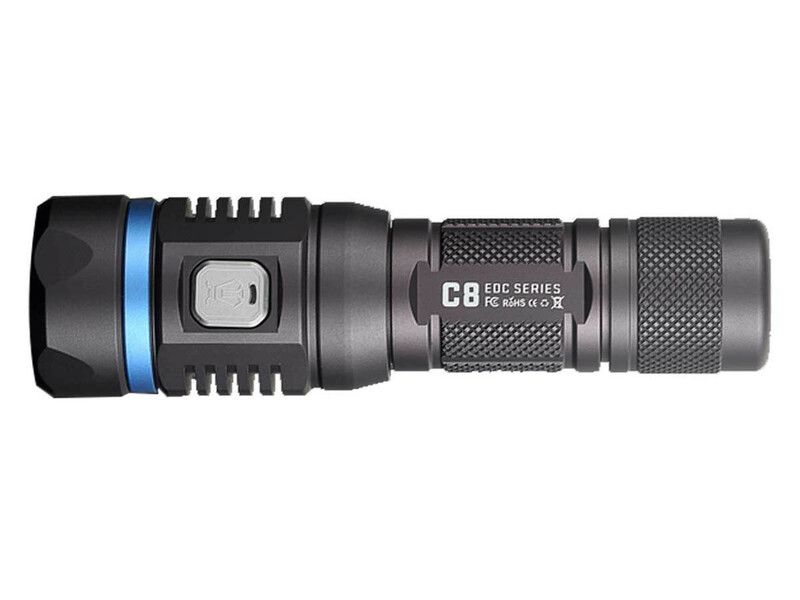 Featuring a maximum 1200 Lumens the C8 Pro is the EDC flashlight you want to have in your collection. 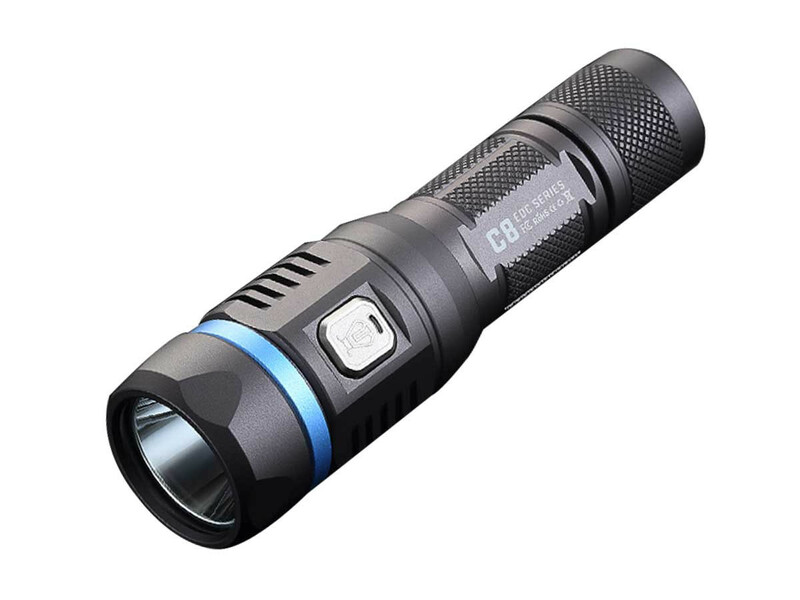 With the high Lumen output you will be able to see up to 230 meters ahead of you and the C8 Pro outdoor flashlight features an extremely long 150-hour runtime. With hours of reliable use and bright light output you will never miss a thing on your next outdoor adventure. The JETBeam C8 Pro outdoor flashlight was designed specifically for outdoor use. It comes with an IPX8 rating, making it waterproof up to 1 meter in water. Partnered with the IPX8 rating, the C8 Pro comes with an O-ring seal ensuring the light will reliably work in all types of weather conditions, including hard rain, and have the capability of working even if water gets spilled on it. As an EDC flashlight the JETBeam C8 Pro is impact resistant up to 1 meter and comes with all of the accessories needed to use the light anywhere. Included with your purchase is a rechargeable battery, a durable lanyard (which attaches to the tailend of the light), a holster, and more! Additionally, the JETBeam C8 Pro features a cooling ring around the head that helps with heat dissipation. Even after prolonged use, your flashlight will not feel hot to the touch or easily overheat. Located on the side switch is a voltage indicator. When your battery starts to get low the light will slowly blink green, and when your battery is extremely low the light will blink much faster. The status indicator keeps you updated on the overall charge and will let you know when you should recharge your EDC flashlight.